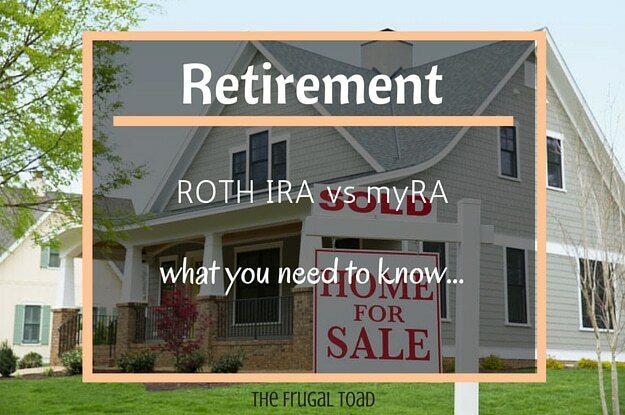 Roth IRA vs myRA Retirement Account – Which One is Right for You? Update: The myRA Program has been terminated as of September 17, 2018. Any money in a myRA account will be moved to a new Roth IRA account in your name at Retirement Clearinghouse, LLC. (RCH) The myRA had no account or transactions fees however, RCH will wave fees for a 2 year period for a new accounts transfers from the myRA Program. When President Obama was delivering his State of the Union address, he indicated that the US government was creating a new type of retirement account. It is aptly named myRA. This appears to be a simple mashup of “my” and “IRA”, which could make it appear that you have control over this retirement account. Why the premise behind the myRA retirement account is good, the execution falls short. We do need to find a way to get people to start saving for retirement, but many don’t have enough to start investing in regular IRA accounts. This is why the myRA retirement account was created. Here is a comparison between a myRA account and a Roth IRA. This is where the myRA retirement account comes out ahead of a Roth IRA. The initial investment for the myRA is only $25. The initial investment for a Roth IRA depends on what brokerage you use. Many are $1,000 to start, but there are some opportunities to start as low as $250. Ongoing contributions are important and the minimum for the myRA is just $5. Many of the Roth IRA accounts have a minimum of $50 to contribute. If you don’t meet the limit, some providers can introduce fees. Both myRA and Roth IRA accounts can be funded by payroll deduction from your employer. Only single workers making up to $129,000 per year and couples making up to $191,000 per year are eligible for the myRA retirement account. This mean that many working families are eligible to set it up. An important part of investing for your retirement is understanding contribution limits. The federal government dictates the maximum amount one can contribute to their retirement account per year. At this time, people investing using a Roth IRA can only contribute up to $5,500 per year, but there is no overall cap. The myRA retirement account has a set total contribution limit of $15,000. Once you hit this amount, the account balance will have to be rolled into a private-sector retirement account. No one likes fees and some retirement accounts have a lot of them. The my RA retirement account comes with no fees. There is no fee to maintain the account. Just as with a Roth IRA, you can withdraw contributions at any time, tax free. If you withdraw your earnings, then you will be taxed and penalties could be involved. Here is the biggest difference between myRA and Roth IRA accounts. The myRA retirement account only allows you to invest in U.S. treasury notes and bonds, which is the same as the federal Thrift Savings Plan. This limits the potential of earnings. At this time, these bonds are yielding 2.5% annually. Roth IRA accounts have a wider selection of investment options. You can invest in stocks, bonds, mutual funds, and many other investment vehicles. You can also invest internationally. This account gives you the best option to earn money. If you invest in funds that follow the stock market, then you can earn on average, 8-9% annually. 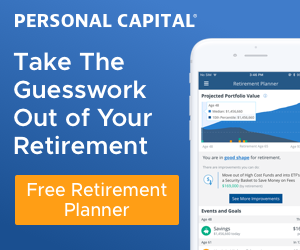 Readers: Do you have access to an employer sponsored retirement plan? What do you think about the myRA as an option for those who do not have a retirement savings plan? Your Credit Card Was Hacked, Now What? Frugal vs Cheap: When Is It Time to Get Some Advice? 18 Responses to Roth IRA vs myRA Retirement Account – Which One is Right for You? I just did the paperwork for the myRA which seems different than I realized. It seems to force one to choose between an IRA or myRA. In my case I max out on the Roth and my employer’s plan. I was hoping for another option but it doesnt look like i’m eligible if i make the Roth contributions. Bummer. Everything before hand that I had read said everyone is eligible if they meet the income limit. I hope this changes. It actually is a good option. THe big benefits come into play when it’s transferred to a Roth after the $15000 threshold is reached. Then the money can really grow. But until then the money is safe and grows at a slow pace. It helps those who need time to grow their savings and because it’s via work payroll deductions it helps the undiciplined saver. Once the 15k is reached, the party’s over. you cant try for another 15K. That is a great idea to use your Roth IRA as your end of the line emergency fund. Will have to start doing that. And with the myRA, it is a pretty bad idea. Stocks are safer than bonds over the long haul because of the risk of inflation. So people should be able to invest in a couple of different diversified funds. I’m a big fan of the Roth IRA, mostly because I can choose to use it as an emergency fund if I really needed to. 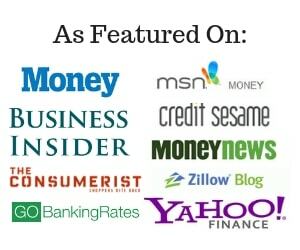 The myRA is considered a “starter” IRA and was designed to target the rather large group of Americans that do not have access to an employer sponsored savings plan. I’d like to see it expanded and indeed I believe in the future it will be. My take at this point is that it’s a good way for people without access to a plan to get started, assuming that once they hit the $15K limit they transfer funds and/or continue in a more substantial vehicle. Bottom line is that this seems to be a concept that might be good for a segment of the population, but perhaps not one with broad appeal. It’s a good idea, but it falls short in the end. I see some people start to use it, reach $15K and then stop saving because they never transfer it over to a broker or a bank. It’s hard enough to get people to set up automatic transfers from their checking to savings account, what makes people think they will go through the process of transferring an entire account. I do wish you could contribute less to a Roth or Traditional IRA. For many people, they don’t have a few hundred lying around to fund the account on a regular basis. MyRA is kind of a joke in my opinion. The only redeeming quality is if it gets people saving for retirement who previously weren’t doing so and don’t have the means or knowledge to use a traditional retirement planning option. It might also be ok for someone very near retirement age. Other than that, ~2.5% return in a retirement account is a bad idea. I get it, at least the account won’t lose money. But, if you’ve got a longer horizon until retirement, risk is a good thing!!! Can you invest in a MyRA in the same year you invest in a Roth IRA? I.e., save the maximum $5,500 for Roth IRA and then put in <$15,000 for MyRA? Agree – this seems almost completely useless. Who in their right mind can retire on $15K?!?!? Being able to start saving even if you have a small amount of money (like $25) is huge. As is the $5 min contribution. Saving for retirement, no matter how small the contribution, is better than not saving at all. myRA is quite good as a supplementary retirement savings account. But for me, retirement savings plan is better. If you don’t have retirement savings plan try to contact and search for it. Enjoy the benefits of having retirement savings plan! My opinion, based on what you reported here, is that it would be better to put your money in a tax free bond fund. No restrictions and you can invest as much as you want. Good question Bryce! The myRA was created to help the With average returns of 3.6% and a cap of $15,000, this will do little to help those small savers it was designed to help. I wonder why they didn’t open up the investment choices of the myRA to include the equity portion of the Thrift Savings Plans. The expense ratio of these funds is currently 0.027%, which is lower than any commercial investment firm offers. I suppose if the government did that, they would upset all the commercial investment firms who shovel money to the politicians. I believe the limits will be increased in future years, they have to be as $15k will not make much of a difference over a 25+ year retirement period. The overall limit is $15K. Once accounts exceed this limit any new contributions will need to be transferred to a private IRA account. The target market for these new retirement savings accounts are the working poor and those that do not have access to employer sponsored IRAs. Is it $15,000 per year or $15k total? $15k total is rubbish. I would rather invest in a taxable account. MyRA sounds good in theory but as you pointed out lacks in execution. I don’t know who in their right mind can retire on $15,000, it will be interesting to see.